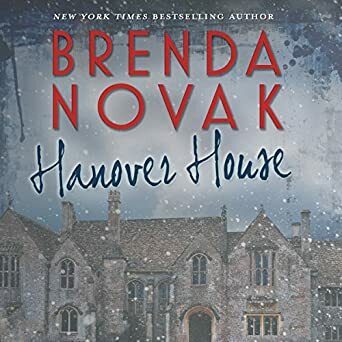 Hanover House by Brenda Novak is the prequel to The Evelyn Talbot series. I am new to Brenda Novak’s work, and I must say I had a good time with this book. It fueled my desire to pick up the next book in the series. Filled with nail biting suspense and a little creepiness, Hanover House kept me on the edge of my seat from start to finish. Ms. Novak impressed me with the way she delved into the mind of both the victim and the villain, allowing readers to understand their thought processes. The protagonist Dr. Evelyn Talbot was a victim of a psychopath when she was a teen. Now an established psychiatrist, she has made it her mission in life to figure out what make psychopaths tick. To aid her in endeavours, she created Hanover House where she can study these serial killers. Persons close to her wanted her to give up her dream because of the danger it posed,, but she refused to allow her fears to control her. The trauma of the event never left her, which drove her desire to delve deeper into the mind of a psychopath. She struggled with socialisation and as a result, persons perceived her to be an ice queen. Sergeant Amarok will discover that this was not the case the more he got to know her. Amarok had not been keen on the establishment of Hanover House in his district, but he resigned himself to accepting it. In the process, he found himself falling for Evelyn and would do anything to protect her. I enjoyed their interaction, which was steamy and humorous. I loved his patience with Evelyn. The story featured two psychopaths, the creepiest one being Jasper, Evelyn's ex. He definitely had a sick mind. His obsession with Evelyn was his primary driving force and it fed his lust for killing. I enjoyed getting the POV of the villain as it gave me a bird’s-eye view of his mental capacity. I enjoyed the pacing of the story. The romance and suspense were well balanced, which I found refreshing. Being fairly new to audio books, I have been introduced to a variety of narrators. This is my first time listening to Therese Plummer. I believed she did a good job with the voices. Despite this being a short story I enjoyed every moment. Fans of romantic suspense will enjoy this prequel to what appears to be an exciting and chilling series. I am looking forward to reading Her Darkest Nightmare.